At the first sign of your transmission starting to slip, you can’t afford to ignore it. The longer you wait to fix any auto problem, the worse they’ll get, and this is especially true for your transmission. We service all electronic & conventional. Your best bet is to give a call to Arbogast Transmissions, your local transmission repair specialists. 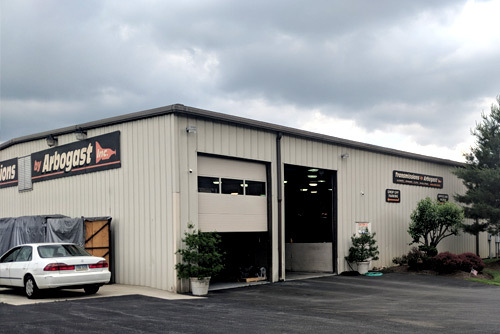 We’ve been locally owned for over 33 years providing the best repairs in Berks County. You can rely on our technicians to keep your automatic transmissions running smoothly, and now are repair manual transmissions as well. Your safest route towards preventing costly repairs down the road is to stay on top of your routine maintenance today. Keeping one step ahead is the key to the longevity of your vehicle’s transmission, and we’re here to help you. Call today to set up an appointment for a transmission fluid flush or just for a quick inspection to make sure that you aren’t on the verge of major problems. And don't forget to keep your vehicle's transmission running strong. Call today for a FREE estimate or to schedule maintenance for your car. Copyright 2018 Transmissions By Arbogast | Powered by Internet RnD | The content on this website is owned by us and our licensors. Do not copy any content (including images) without our consent.